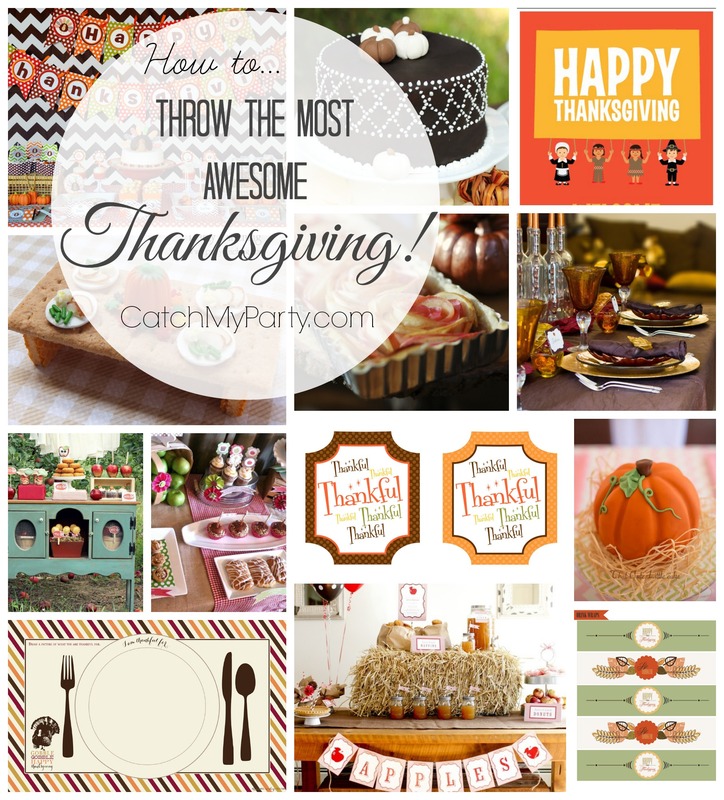 How to Throw an Awesome Thanksgiving! Thanksgiving is one of my favorite holidays. It makes me reflect on all the blessings in my life. As a busy mom with a growing business, sometimes I feel like my life only runs at turbo speed. But Thanksgiving is a day where I get to step away, forget about my mile-long to-do list, put down my phone, and just spend it with my family, eating good food, sharing stories, laughter, and love. What could be better? At Catch My Party, we're here to show you how to throw an awesome Thanksgiving so you can enjoy special time with family and friends. We have so many inspiring Thanksgiving celebrations to give you ideas, lots of free printables to help you decorate, and even a fun Thanksgiving craft or two to try.